Tempis fugit – Time flies. I am unsure whether one would refer to the 50th anniversary of this building’s demolition as its golden anniversary, but I can vividly recall the floods of 1968 and this building even though I never once used the facilities. Probably one of the only elegant buildings constructed in Humewood during the turn of the century, it evinced an era of formality in beach attire more akin for modern day formal attire. Probably for reasons of modesty and decency, a ladies’ bathing house was constructed on this site adjacent to the Shark River soon after the opening of this area. 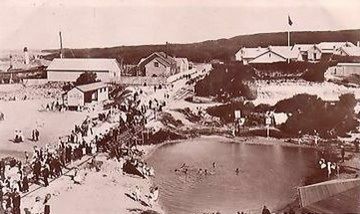 This facility was demolished in 1913 to allow for the construction of the Bathing House. 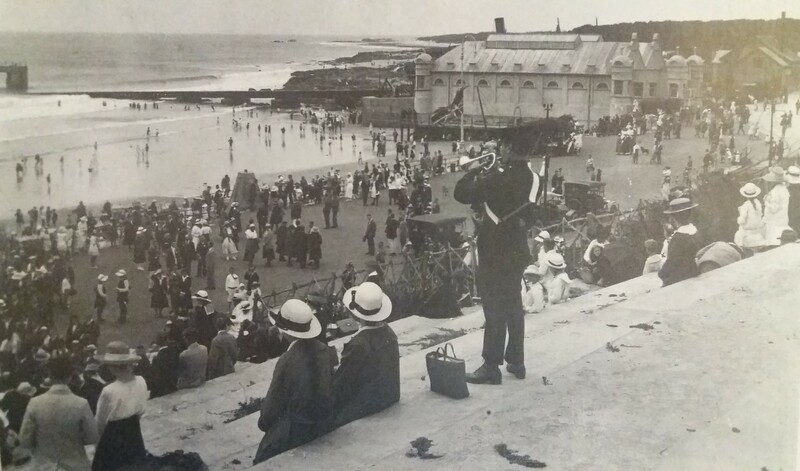 With increasing usage of the beach and due to the fact that the only form of transport to the beach was the tram and travelling aboard a public conveyance in a bathing costume was considered indecent, a proper changing facility on the beach front became a necessity. As part of the beach improvement project, both the bathing house and the adjoining promenade as envisaged by the Municipality, was designed by A.S. Butterworth. 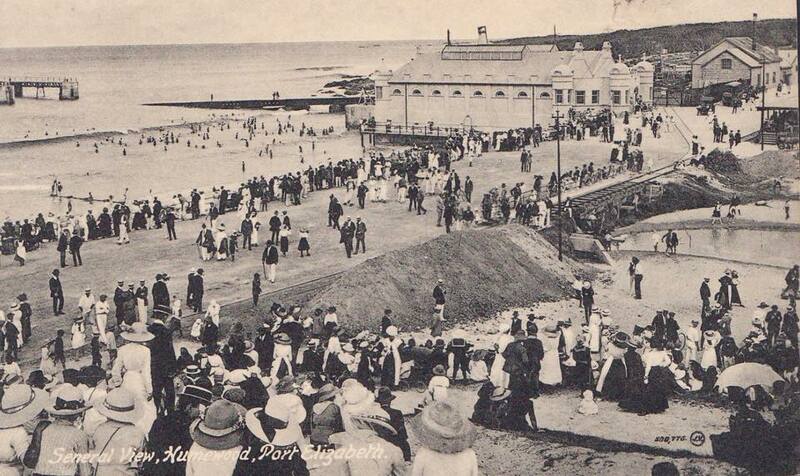 On the Friday 4th July 1913, the foundation stone of the new bathing house was laid by the Mayoress, Mrs. A.W. Guthrie. The building contractor was Kohler & Sons. This building was constructed with a reinforced concrete foundation based upon rock. 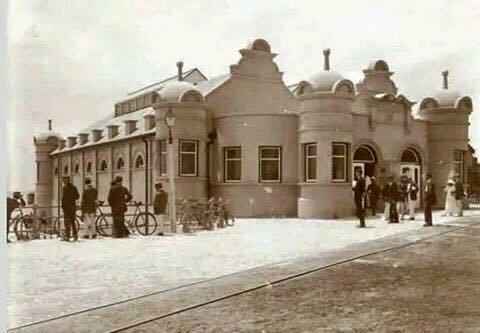 This facility was officially opened on Saturday 6th December 1913. 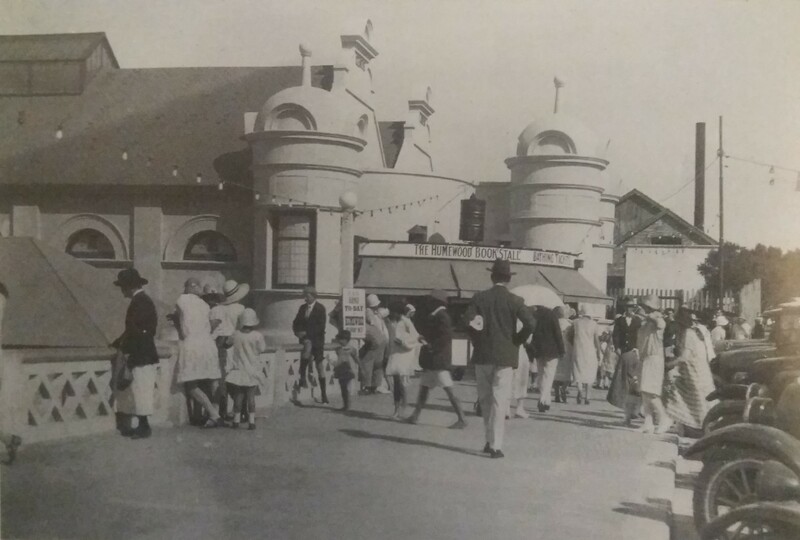 In January 1923, extensions to the Bathing House were completed while a ticket kiosk and a bookshop were added in 1926. After the floods in September 1968, this building was demolished presumably because of damage sustained in the flood. Remember it well. Went there when I was ten, with my grandfather. 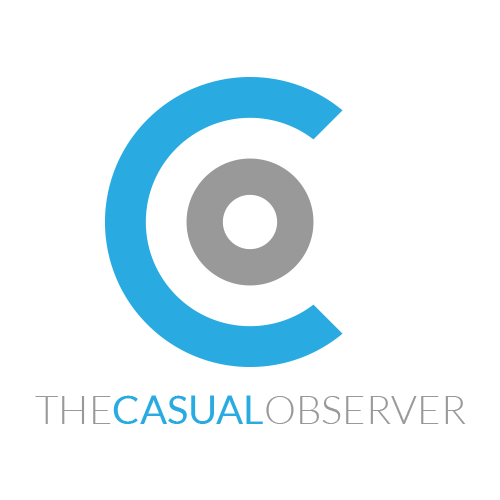 They used to go for an early morning dip – in dressing gown! 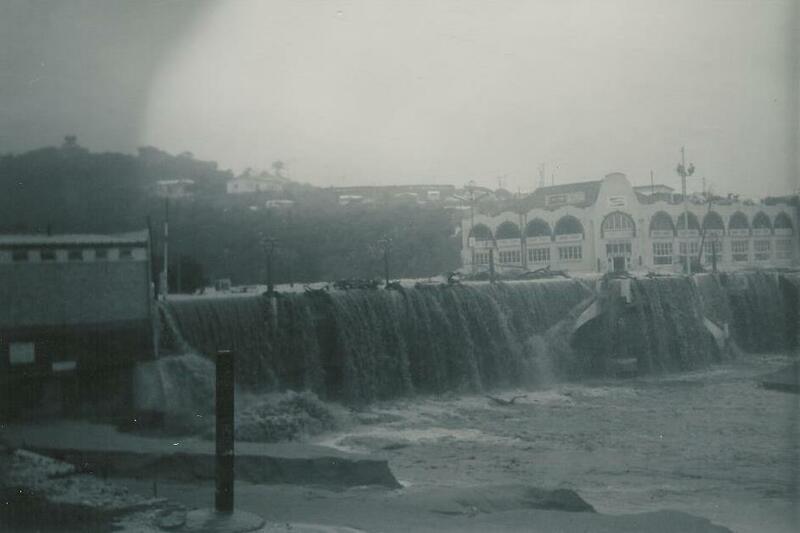 Also recall the flood of 68 which caused tree trunks and debris to end up on the shore. 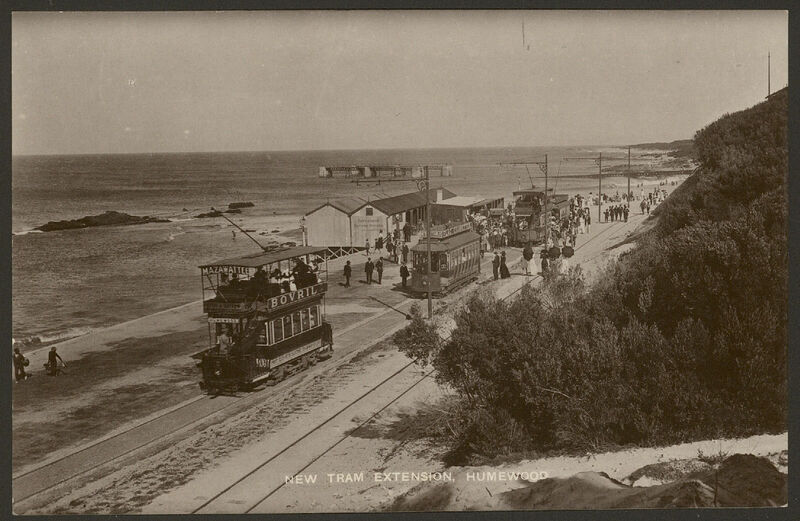 Great pictures – particularly those trams. You provide an incredibly valuable service.